Love cats? Check out this Pawsome cat cafe! The Japanese trend of cat cafe’s has made its way to Australia and we likey! 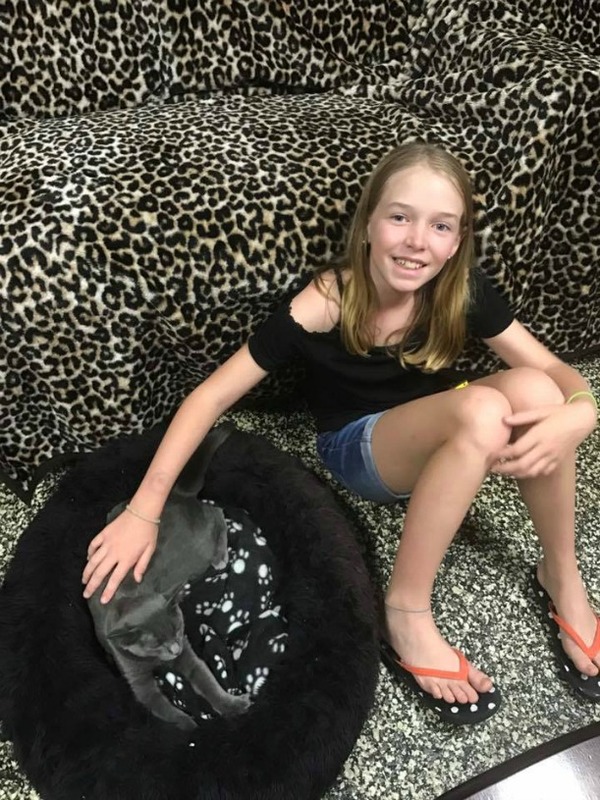 We were so excited when The Gordon Tribe shared their daughter Emerson’s 10th birthday party at their local cat cafe in Brisbane. Cat Cuddle Cafe is a kitty lovers delight with up to 15 cats and kittens roaming around and playing in the cafe. It’s decked out with cat toys and nooks and crannies for the cats to have a cat nap. But the absolute best part about Cat Cuddle Cafe is you can adopt the cats! The cafe is run by Pussies Galore Rescue and their sole purpose is to re-home the cats! What a fantastic way to find a pet that fits your personality. But if you aren’t able to give one of these adorable cats a fur-ever home, there are other ways to support them and Cat Cuddle Cafe! 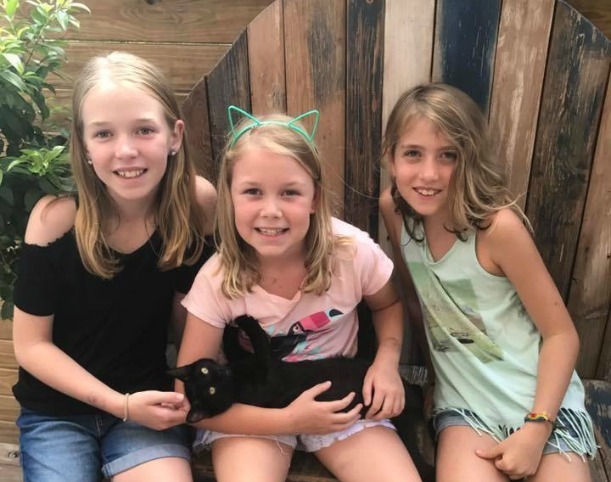 Just by dining at the cafe, you are donating much needed funds to help keep the cats fed, vaccinated and in good health until they are adopted. Or if you pop into the Op-Shop next door and make a purchase, all proceeds come to the Cat Cuddle Cafe. Or if you’re not in the area but want to support the cause, you can make a donation or sponsor a kitty! One other thing we adore about the Cat Cuddle Cafe is their funky events schedule! 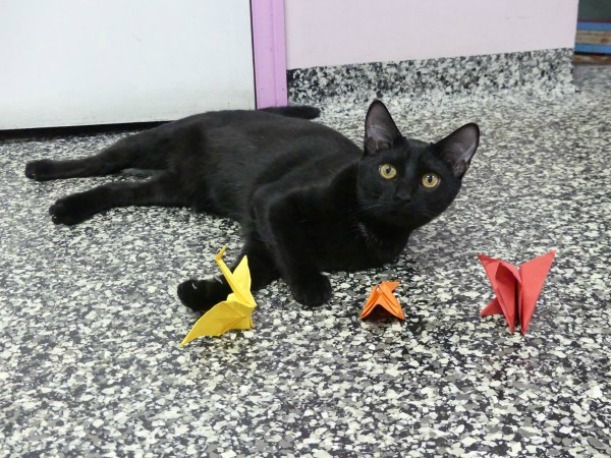 You can come to a singles mingle event to meet other cat loving singles, or there’s an origami with cats night coming up soon! Other events on the calendar include colouring with cats, board games with cats and meditation and mindfulness with cats. 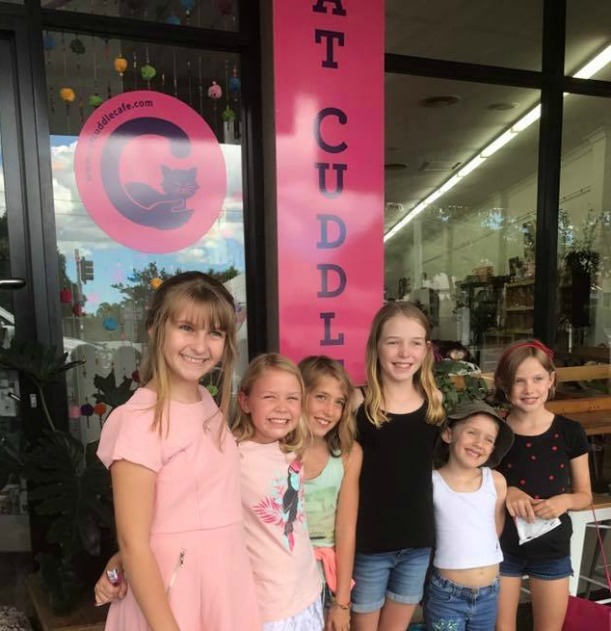 If you’re keen to take the tribe, it’s important to know that kids must be aged 7 years plus, so if you’ve got an older tribe, you can come and cuddle to your heart’s content!